Dayanand Brijendra Swarup College, Dehradun was started in July 1961 with a couple of rooms with 93 students spread over in the Departments of Geology, Chemistry, Mathematics,Geography, Military Science and Economics. MA classes in Economics started in 1966 with Dr. M.B. Srivastava (Ph.D. in Economics) the first Principal and the HOD, who retired in 1973 supported by his staff-Shri M.W. Hanif, Shri Dinesh Kumar, Shri B. S. Verma and Shri Shiv Kumar were the faculty members at the time. Shri M. W. Hanif became the next HOD and was on the panel of visiting faculty of several institutions. Dr. J. P. Srivastva and Dr. Dinesh Chandra Joined the department in 1973 and retired on the 30th June, 2006. and 30th June, 2003 respectively. Dr. Srivastava had visited Michigan State and Connecticut State University, USA, to present his research paper on the ‘Demography in Garhwal Himalaya’ in an international seminar, hosted by the respective university .Eleven researches were completed under his supervision. Shri B. S. Verma retired in 2003 from the Economics Department. He has published many research papers and worked under different committees for upliftment of the college and the department. 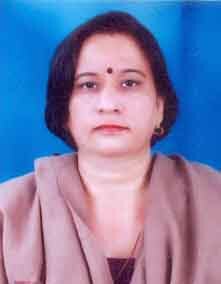 Dr. Alka Suri joined DBS College as an Assistant Professor on the 5th of August 2008. 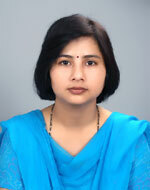 Dr. Suri is a commited teacher and has published 5 research papers in national level journals. Her research includes work on Comparative Institutional Advantage and the Development of the Economics Systems. She has also participated in National Conference and presented papers.